I am left-handed, and grew up studying classical flute, which is generally played the same way regardless of the hand you use to write. But when I was eighteen, I decided to finally drop the flute (figuratively), and learn guitar. But the only guitar around for me to play was a $100 Fender Squire, and it was a righty. At this point, I was mulling over what I was going to major in at university and didn’t suspect that any new musical pursuits would amount to much, so I didn’t think twice about starting out on the wrong hand. It turned out that I really liked guitar, and threw myself into it. I took an extra year off before starting school, and in that time used my classical background to catch up on improvisational theory. I ingratiated myself to the local jazz department, who admitted me on the basis of my “potential”. So, I was suddenly majoring in jazz guitar and not too long after, gigging around town. Fast forward one music degree, and I felt stymied. There were some aspects of playing that just wouldn’t come to me, easy or hard. For example, funky strumming—make that any kind of strumming. I could comp pianistically and pluck with my fingers, but the loose, yet controlled, percussive movements required for funk seemed out of reach. My right arm just didn’t want to move that way. This is a performance of a tune I wrote and arranged for my graduation recital, about 5 years after I started playing guitar. From his work with Common, Q-Tip, and A Tribe Called Quest, to gigs with Kenny Garret and Kurt Rosenwinkel, not to mention a Grammy win with Robert Glasper, drummer Mark Colenburg’s resume speaks to his virtuosity and innovative approach to rhythm. I’ve admired his playing for a long time, so I was very pleased to find that he is interested in rhythm cognition and was happy to share some thoughts on his mental and physical strategies as an elite musician and timing specialist. Life as a trainee scientist has been heavy (in a good way) lately, so this piece is a long time coming. Thanks for staying tuned! ADM: I know you started out really young, but as you developed as a musician, were there any particularly difficult concepts or techniques (e.g., a feel, or maybe a specific series of movements) that come to mind? What was the breakthrough? Was there a mental strategy, a movement, or maybe something like a mnemonic that helped you to finally ‘get it’? This interview is the first in a series I’m calling “The Metacognition of Drumming”. Getting musicians to speak in concrete language about performance and other forms of musicking is notoriously difficult, but it’s crucial that artists, scientists, and amphibians dissolve our hard disciplinary edges. To this end, I will share my conversations with drummers (and maybe a lucky few non-percussionists) in an attempt to articulate these very non-wordy things we do when we play music together. James McRae is a Vancouver Island institution, a fabulous musician, and a stalwart friend. I’m sad we don’t jam so often since I moved to England, but I’m grateful we could exchange some thoughts on the types of cognitive/active strategies drummers use here. If any readers have a perspective they’d like to share, drop me an email! And stay tuned for the next edition, featuring Robert Glasper Experiment drummer, Yamaha-sponsored artist, and Grammy Award-winner Mark Colenburg. ADM: What is your approach to groove, both as a drummer and as a teacher? JM: All music has to feel good. If it doesn’t feel good, people are going to turn away! How much of this is based on groove? A lot, probably. The feel changes based on the tempo. Steady tempos are great, but having metronomic time seems more artificial than natural. Western scientists noticed as early as the Victorian era that rhythm was bound with movement. In his 1894 essay “Rhythm”, Thaddeus Bolton reported to The American Journal of Psychology that no “primitive” person “is able to listen to music […] without making some kind of muscular movements”. He marvels at the effect that “rhythm of drums and the repetition of a simple melody” holds over “certain classes of people, savages and children”. 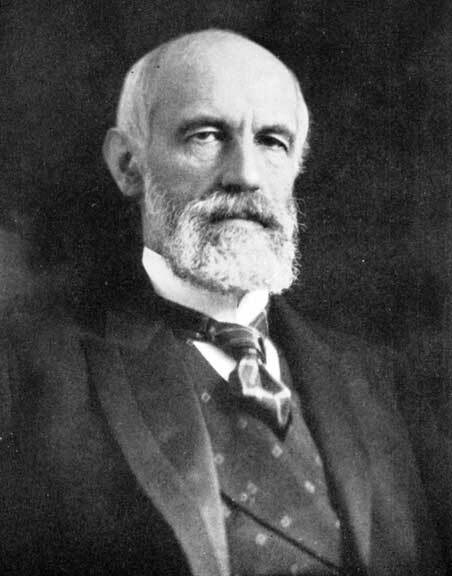 Bolton operated within a colonial framework, and much of his later scholarship was concerned with racial psychology, so it’s unsurprising that he contrasts groove-oriented rhythm against what he saw as higher faculties, best represented in the mature, civilized, rational, and self-controlled white man, a la G. Stanley Hall. Painful as it is to sift through Bolton’s ideologies, his focus on the “terrible leaping and gesticulations [to] the accompanying tom-tom” is prescient in light of modern behavioural, neurological, and neuroimaging investigations of rhythm. For instance, the way in which we move to a rhythm may impact how we hear it. Researchers found that participants were better at predicting a tone at the end of a series of beats having tapped along, compared to when listening alone, even when they couldn’t hear their own tapping. Using an ambiguous rhythm that could be interpreted in either a waltz or in common time, another group report that children and adults prefer and interpret new rhythms according to how they moved during the training phase, i.e., in 3/4 or 4/4 time. Movement also appears to enhance one’s ability to detect and locate an interrupted beat, when compared to listening-only conditions, especially for non-musicians. Intriguingly, we may even covertly move to music: anticipatory muscle activity while tapping to a rhythm differs substantially from unpaced movements, yet muscles show an almost identical preparatory profile during “passive”, or immobile, listening. Functional brain imaging studies that use rhythm tasks or stimuli show activity in what are traditionally considered the motor areas of the brain, even when experimental subjects are lying perfectly still—not that MRI machines are ever really conducive to dancing. These regions typically include the basal ganglia, cerebellum, and cortical motor areas. Moreover, evidence from people who have Parkinson’s disease, which affects the basal ganglia, suggests that their ability to process rhythms with a beat may be compromised. These and corroborating data lead some cognitive scientists to argue that our ability to perceive and process rhythms are entirely based in action: whether covert, imagined, or arising from past motor experiences.